Persons who live in the Caribbean, especially those of us who belong to the 15 countries which form part of CARICOM (Caribbean Community), have for years heard of ‘Caribbean integration’ and wondered when and if ever a day would come that some form of what CARICOM is supposed to stand for would finally become a reality. Caribbean people have forever held onto the differences that have kept us apart, rather than the similarities that can bring us together. The West Indies Federation failed, West Indies Cricket is in the doldrums and we’re still waiting on the Caribbean Single Market and Economy (CSME) to fully materialise. 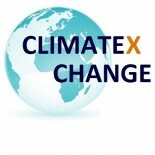 On 8th October 2015, a little over 2 months before the commencement of what many considered the most important climate change conference of the 21st century, a climate justice campaign dubbed ‘1.5 to Stay Alive’ was launched in an effort to alert CARICOM nationals and persons across the globe of the impacts of climate change on our small island and low-lying countries and to gather support for the Caribbean’s cause. The campaign sought to bring together youth, journalists, artistes and civil society, among others, to send a clear but resounding message to everyone. The message that what was needed to be told at the climate change conference was that the Caribbean needed a legally binding agreement that clearly met the demands of CARICOM countries, echoing words said earlier in the year by Dr. Didicus Jules, Director General, of the Organisation of Eastern Caribbean States (OECS): “We will clamour if we must but they will hear us, 1.5 to stay alive”. ‘1.5 to Stay Alive’ became the rallying cry and in Saint Lucia for example, radio, television, print and social media were inundated with climate change information. The Caribbean Youth Environment Network- Saint Lucia Chapter (CYEN) with a project funded by Global Environment Facility Small Grants Programme in Saint Lucia (GEF SGP UNDP) with co-funding from Bank of Saint Lucia (BOSL) and St. Lucia Electricity Services Ltd. (LUCELEC) added its support to the cause. Community consultations were held, short documentaries were recorded, songs were sang, poetry was written, dramatic pieces were performed. Through painting and through photography the climate change message was being transmitted right across the Caribbean and full support was given from Heads of Government to this effort. 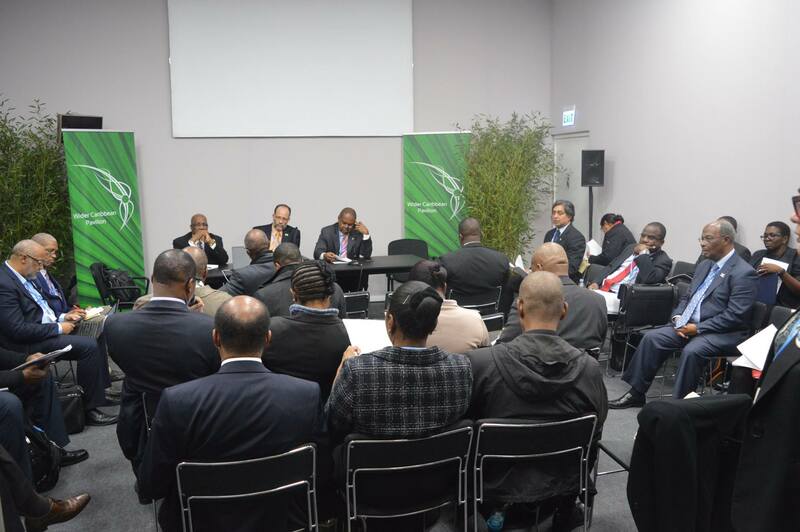 At COP 21 one couldn’t help be moved by the feeling of camaraderie and togetherness that permeated the rooms and sitting areas of the Wider Caribbean Pavilion. One couldn’t help but feel a sense of pride and get goosebumps hearing all those different accents in one space but all singing the same song ‘1.5 to Stay Alive’. Climate change it seemed after so many years, was the one theme that had truly united the Caribbean. A 1 metre rise in sea level is set to cause the loss and damage of 21 (28%) CARICOM airports, wipe out 1300 km² of CARICOM nations, which is the combined land area of Antigua and Barbuda, Barbados, Saint Vincent and the Grenadines and Anguilla and would displace approximately 110,000 persons. These impacts, combined with the region’s heavy dependence on tourism were sufficient and served as a wake up call, to spur countries into action (Simpson, M.C. and Scott, D. et al 2010). CARICOM Secretary General Ambassador Irwin LaRocque in an interview at the end of the first week of the negotiations said that the region was “well served” and spoke of the region being proud of the work that had been done so far. He was also “extremely impressed at the level of coordination and competence and the ease with which our negotiators were handling the topics” and a heightened feeling of a “Caribbean united”. One would surmise this unity is the reason behind an article published in the Jamaica Gleaner, which deems the ‘1.5 to Stay Alive’ campaign a success by CARICOM. In the end, ‘1.5’ was included in the text and CARICOM got one of the major outcomes for which they went to Paris. Working together has indeed brought rewards. Can CARICOM now ride this wave of success and allow it to permeate other spheres of Caribbean life (politics, economy and society)? Snaliah’s main area of interest has to do with (although not limited to) Small Island Developing States, especially those in the Caribbean region, and how they are affected by climate change and environmental issues. As the Vice President of the Caribbean Youth Environment Network (Saint Lucia Chapter) she was coordinator of its GEF SGP funded project on the environment, targeted at youth in marginalised parts of St. Lucia. She lived and studied in Mexico for 5 years where she also did an internship at the United Nations Information Centre. She has experience in teaching at the secondary school level and enjoys the outdoors, reading, listening to music, and of course watching cricket and football. 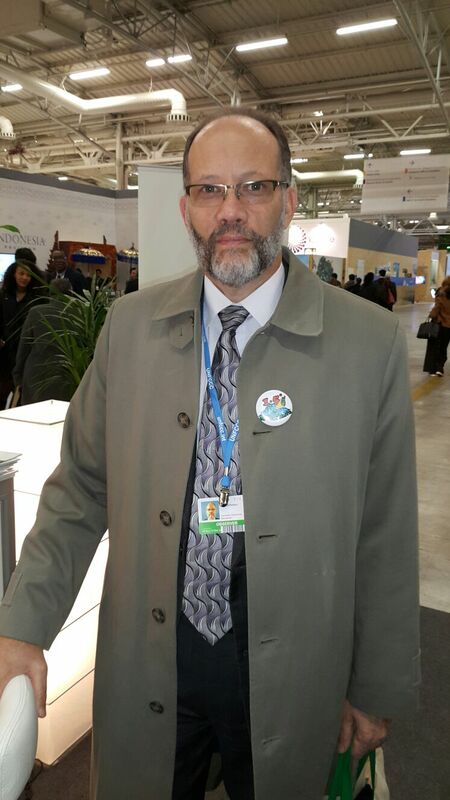 This entry was posted on January 7, 2016 by Snaliah in Climate Change Negotiations.